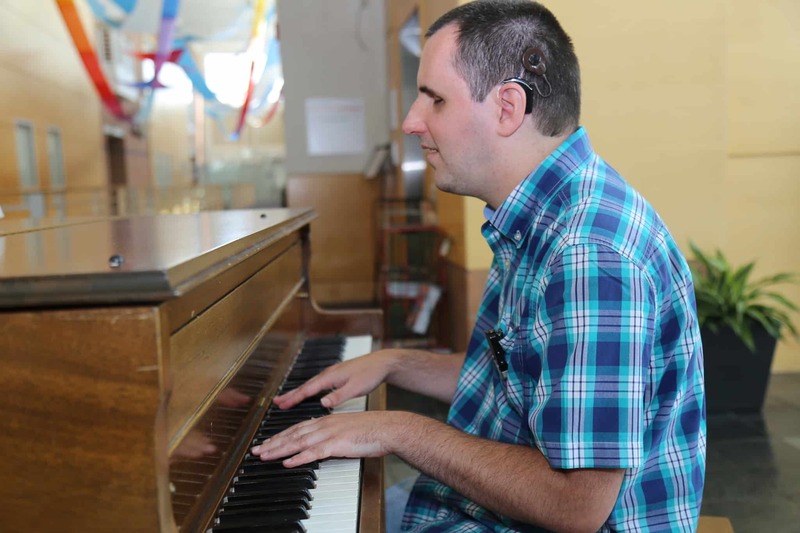 Playing the piano is a great passion for Chad King, who is blind and losing his hearing. King recently decided to get cochlear implants to restore some of his hearing to help him maintain his connection to others. Feb. 1, 2019 | “Yes” was the first word Chad King of Redfield wanted to hear when he got his cochlear implant. King’s girlfriend, Jamie, did, indeed, agree to become his wife, and King is doing well with the cochlear implant to restore his hearing loss. However, the decision to have the surgery wasn’t easy and it wasn’t a sure thing. King is now glad he took the plunge — in more ways than one. King has been blind since birth. During most of his life, a love of music has sustained him and has been a source of connection to others. He plays piano in church. Anywhere he goes and starts playing, a crowd soon gathers. Then King started losing his hearing at age 9. His hearing loss has had some impact on his enjoyment of music, but it has had an even greater impact on his ability to communicate with others. Jamie is blind as well. They met at school and started dating about four years ago. The problem is that cochlear implants help with day-to-day communication, but they actually make things like music more difficult. Cochlear implants are surgically implanted devices that replace lost hearing function in the ear. However, cochlear implants don’t translate sound into as many tones as the human ear does. With voices, that might not matter as much. Jamie’s voice might sound to King like she’s off by a note or two, but he can still understand what she’s saying. However, when it comes to playing or listening to music, the difference in notes and tones is much more of an issue. In addition, not everyone has the same success with cochlear implants. The brain has to learn how to interpret the new information about the sounds brought in by the cochlear implant. Not every brain relearns as quickly or as completely. And to implant the device, the surgeon must destroy the patient’s remaining hearing. Despite the risk of the unknown, King said at some point the choice became clear. Human interactions were more important to him than anything else. He got his first implant in spring 2018 and his second that the fall. 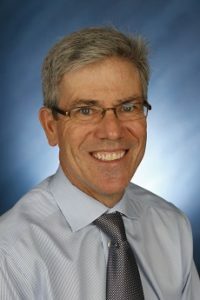 Dornhoffer is one of the few in the state performing the cochlear implant surgeries, but he hopes to change that in the coming year by hiring an additional faculty member who could help make the surgery available to more people. As for King, Dornhoffer said he has been progressing faster than average at learning to use the cochlear implants.